eBay is one of the most popular sites to buy and sell things online. It’s great for both businesses and those who just want to have a little clear out, but if you’ve never sold on eBay before, a little advice can go a long way. The following page detail the particulars of setting yourself up as a seller on eBay. It cover all aspects such as step-by-step guides on your individual profile, what you can and can’t sell, tips to help sell your items, and tools to help you make the most out of the online marketplace. 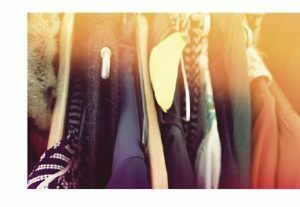 eBay is a great platform – it’s helpful for passing on your old clothes and unwanted items, as well as helping you to raise a bit of extra cash. It can be great fun too, so make sure you check out the rest of our pages to see how eBay might benefit you. Once you’ve decided to set yourself up on eBay – whether as a business or an individual seller – there are a few steps you should take to ensure you get the most out of the marketplace. If you’re new to eBay, you’ll need to set up an account. At this point you should decide whether you’re registering as a business, or as an individual seller. If you’re unsure whether you should register as a business or not, this article from eBay breaks it down. Once you’ve done this, make sure all your information is correct before setting up your details to pay your seller fees. While it’s free to set up your account, you’ll need to pay fees on what you do sell. You can find out more about the exact fees on eBay’s information page here, and it’s also advisable to make sure you’re fully set up on Paypal too. While Paypal isn’t the only payment method you can use on eBay, it’s probably going to be used by the majority of people buying items on there, so make sure you set up an account before opening your store. Once your account is fully functional, you can begin to list the items you want to sell. To find out how to do this well, make sure you read on to discover the importance of titles and descriptions – it helps to get into good seller habits from the very beginning. While you’re relatively new to the eBay selling game, it’s a good idea to conduct a little research before you start selling. You don’t want to begin listing items at prices way above every other seller, just as you don’t want to miss out on profits for selling too cheaply. Finding out if your item is in demand will help you gain a competitive place on the eBay seller market. According to Good Housekeeping, tech items and clothes are two of the most popular items to sell on eBay. So if you’re planning on getting rid of your old laptop, or an old pair of jeans you’ve never worn, have a scout around and see the kind of prices they’re already going for. eBay provides information on what’s selling well at the minute, so you can check out this page to see whether your item is listed or not. It’s also essential to check that you are actually allowed to sell your chosen item on eBay. If you list something that’s banned, it’ll be removed, and could have a knock on effect on your seller reputation. Check out our guide to Prohibited Items below to make sure you’re following the rules. If you want to sell something on eBay that you know is allowed, but you’re just not sure if it’s worth it, take a look at eBay’s Restricted Items section. This page details the specifics of whether or not an item should be sold. For example, if you want to sell half used perfumes, you must make sure they’re not the kind that require an applicator to touch the skin to apply. As with any online marketplace, there are restrictions on what you can and can’t sell on eBay. It’s your responsibility as a seller to make sure everything you list on eBay complies with these restrictions, as well as any other applicable laws. eBay has a plentiful list of policies and regulations, and it’s a good idea to familiarise yourself with each and every one if you’re going to make the most of it as a seller. For example, as well as the prohibited items list, there’s also an offensive material policy, as well as details regarding certain trading regulations. This is something that it’s particularly important to be aware of if you have any overseas customers to cater for. As a rule, you cannot list anything that may evoke illegal activity, anything that’s offensive, hazardous or confidential and certainly not anything related to drugs or medicines. While this list is by no means exhaustive, you can find more information on eBay’s prohibited items page here, along with a list of items you can only sell under certain circumstances. eBay may take down your listing if it’s a prohibited item e.g. make-up. eBay also sets rules for how you’re allowed to go about listing your items. The point of this is to make the user’s experience of eBay as fair as possible, helping to ensure everyone’s happy with their trading experience. Scroll down to The Importance of Titles and Descriptions to find out more. eBay is primarily an auction site, but there are a number of different formats for selling your items. Here we break down the terminology, so you can decide which format is right for you. The original eBay auction is the simplest format for selling your items. In this format, sellers list the items they want to sell and potential customers will bid how much they’re willing to pay for it. As with traditional auctions, the highest bidder wins the item, but unlike traditional auctions, each lot is timed. It’s not abnormal to see prices rocket in the last few minutes of a sale. If you don’t want to go through the usual bidding process, you can list your items with a “buy it now” price, meaning potential buyers just have to decide whether they want the item at that price or not. You can also list an item for potential buyers to choose whether they want to bid on it, or just buy it for the requested price. These work in much the same way the original eBay auction, but if you don’t want to accept less than a certain price for an item, they can add this as a reserve. This means that only bids over this amount will be accepted. You don’t have to disclose the amount you’ve put the reserve on for, meaning a reserve won’t influence potential buyers’ decisions. The way eBay is set up means you have several options to make the most of your experience on the site. If you’re just looking to have a clear out, the original auction is best, whereas if you want to make sure you make some money, reserve auctions can be beneficial. Buy It Now auctions are also really handy if you just want to make some space quickly, without having to monitor your bids. While it might seem mundane, making sure all your listings have well thought-out titles and descriptions can only aid your selling abilities on eBay. When selling your items, it’s all about visibility – the more visible your products are, the more likely they are to sell. Make sure you provide as clear a title and description as possible. The Balance recommends making sure you spell everything correctly to optimise your eBay auctions, as well as including words that are commonly spelled incorrectly in your title, too. This will enable more people to be presented with your item in their search results, therefore increasing the likelihood of bids. When choosing a title for your product, think what a seller might search for if they were looking to buy it. This should go some way in helping you choose a title that’ll get recognised, exposing your item to more sellers. Clearly describing your item can only mean good things for the person buying it. It’s often when these descriptions fail, for example when a description says it’s brand new but it actually isn’t, that problems occur. Be honest in your writing from the beginning. If you’re not, you’re opening yourself up to negative feedback, which can damage your reputation as a seller. Feedback is an important part of how eBay works. How other eBay users rate the service you provide can have an effect on how likely other users are to buy from you. That’s why it’s so important to fulfil your requirements as an eBay seller, as well as provide accurate descriptions of your products. So how does the feedback system work? While as a buyer, you can leave feedback on your experience, the seller can also feed back on theirs. All this feedback is recorded, and informs a score that other eBay users can see and use to help decide whether or not to buy something from you, should they wish to. eBay explains that the idea behind being able to give feedback from both sides is to help improve the eBay buying/selling community. Sellers can acknowledge their loyal customers, while buyers can help a seller out by telling other potential buyers just how good a purchase they made with them was, or how easy the seller made the transaction. Just as with your titles and descriptions on eBay, it’s important to make sure your feedback is honest. False feedback – whether positive or negative – can have a bad impact on the eBay community, not to mention your profile. For sellers, eBay provides a detailed article on understanding how they work out your feedback score here. For more handy selling tips, check out the rest of our guides. 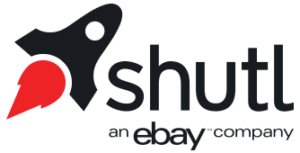 Have you bought your CollectPlus label via eBay’s Shutl? What to do if you have a question about your parcel. If you chose the CollectPlus option via Shutl from eBay you no doubt have been impressed by the integrated system allowing you to buy your labels in a few clicks. And the Paypal integration is really useful too. If you have any questions about your delivery Shutl are on hand to deal with queries. The Shutl contact number is +44 333 136 8040 or you can email delivery@shutl.com. Further information on the Shutl service can be found here.